Yet another project, actually the last project we will have this year. It has been three years that I have had this class and this is our last project. A music video! The original song has to do with a break-up of a boy and girl. The boy regrets what he did when they were together and is sad. Since this would be both awkward and weird to film we decided to take a more humorous approach to creating this music video. For our re-creation, the story will be of three friends pet/friend chicken who they liked very much. When another person, Makaio comes, the chicken and him have an instant bond. The three friends are then sad and sing about their regret about the relationship with the chicken. They are also seen in various places remembering the times they had together and how they hope Makaio will treat the hen. After 3 years of being in this class, I have learned a lot about media production. We have created many projects such as animations, short films, commercials, and music videos like this project. At the end of the year Mr. Sanderl usually says "This project should show your highest quality of work" mostly because it should include everything we learned throughout the year. 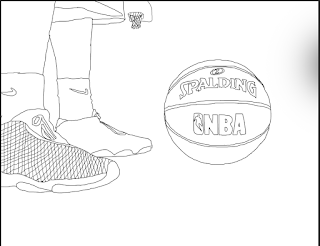 This being the last project I will every do in this class, I really tried to make it the best that we could make it. I think that this Music video came out really well and looks great. I believe that after years in this class this is the quality that should be expected. I hope to not only be able to use the media production skills in this class but also the life skills I have learned within this class. It was a great 3 years of G.T. and I hope to continue education in high school learning as much as I can. Overall I think this class has taught me a lot that I will be able to use for the rest of my life. Yet another project. 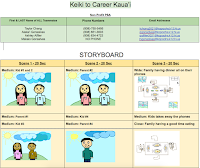 For this period 7 project, we created a PSA or public service announcement for a non-profit organization called Keiki to Career Kauai. Keep reading to learn more about this organization and the PSA we created for it. 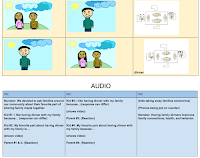 Our main focus for this project was to create a PSA that would influence the audience and help them understand why sharing meals with their family is important. 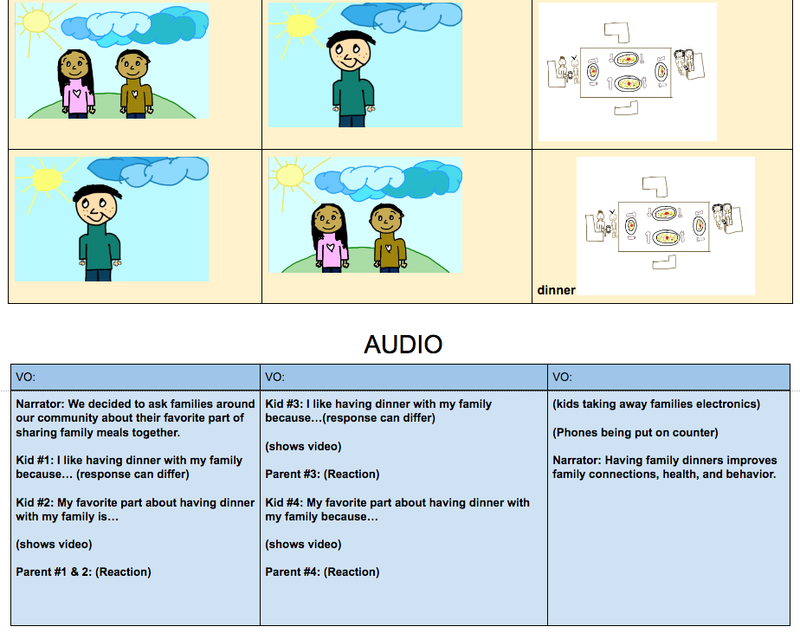 For the video, we went around our community and asked several children what their favorite part of family meals was. In the beginning of the video, there is a montage of all the children for a few seconds with a voice over. From here it cuts to all the children saying what they like about family meals. At the end of the PSA, it shows kids sitting on a table putting their phones away with a voice over. The biggest challenge we faced during this project would have to be working together and everyone getting their job done. The biggest success we had would most likely have to be just getting the video done. Throughout the whole process, it was a pretty hard project to complete Overall, this project came out pretty well. It definitely wasn't the best but it helped us learn more about being a team and how important it is to do your job and work together. Hello Everyone here is yet another blog post. Recently we began working on a new project. 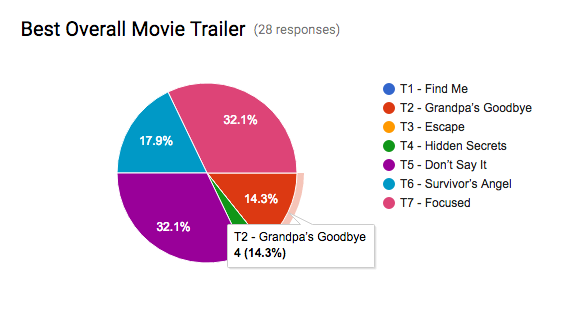 Movie Trailers! This has been a project we have done for the past 2 years and we have decided to do it again, due to the majority of votes our class made for this project. Keep reading to learn more about this new project. This project is basically just a good old movie trailer project. To be more specific, it is a movie trailer that gives alot of detail since there most likely wont be a follow up movie. In this trailer we included custom soundtracks made with mixes of FCPX sound effects as well as royalty free music, interesting shot types using several different composition techniques, and also text and voice overs. 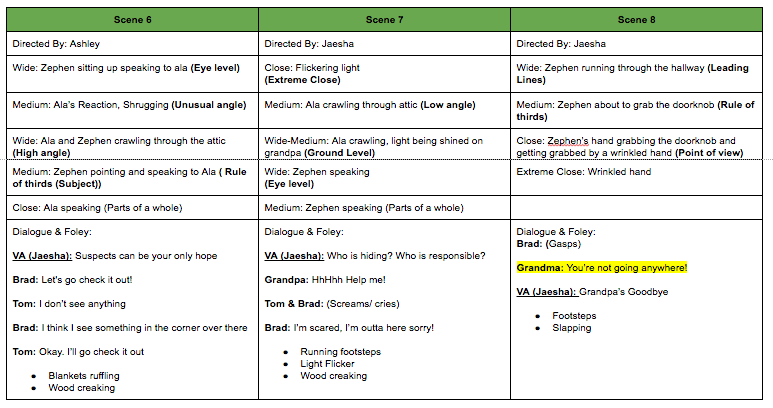 Like almost every other film project in this class, we created a plan. 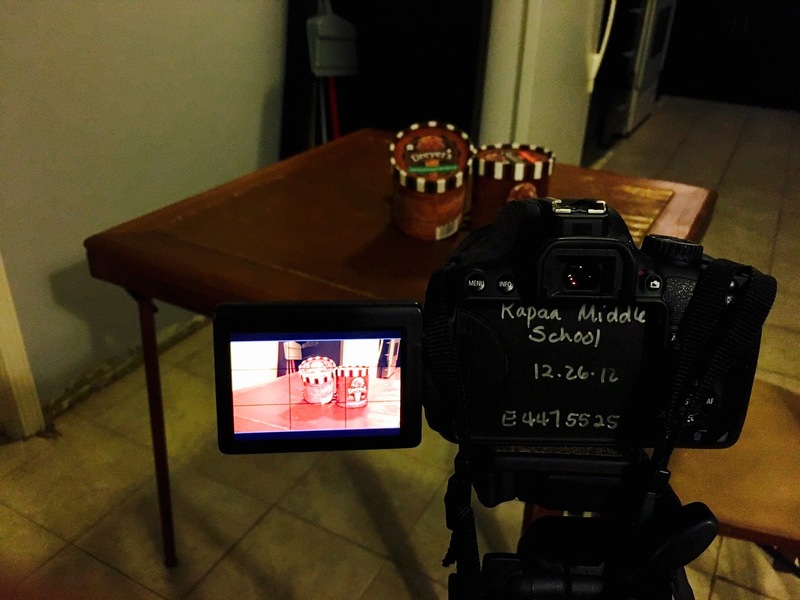 My group mates for this project are Ashley Alfiler, Zephen Kaneakua, and Jaesha Mata. Everyone contributed to the plan pretty equally. Although not everyone typed as much as each other, everyone gave their opinion on things until we all came together on one central idea. What I contributed to the plan the most would probably have to be the synopsis, after taking suggestions from all other team members, I then went home and typed my thoughts out as bullet points. After I had the basic outline for our movie I then condensed it into a smaller version of the movie into a trailer. After that was complete, I then took that and tried my best to write an engaging synopsis. After help from my group mates and Mr. Sanderl, the synopsis was complete. Just like all other projects, this one had its challenges. The biggest challenge would have to be meeting up with each other. Although we had spring break right in the middle of this project, we still could not find a time when everyone was free. Two of us would be free but the person we needed to film could not make it. People did not have rides to the location we were planning to film at. Plans changed and members would notify other members. Although we had many struggles and challenges we were still successful at a few things. A success we had during this project was working with what we had. For example, since the proper characters were not available we were successfully able to work with what we had to complete the trailer. Although this made the trailer a little cheesy, it definitely added some humor to the trailer which is also a success. Overall, I think that even if things didn't always work out we still were able to be successful and came out with a pretty good trailer. 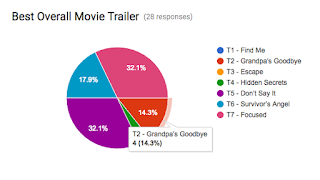 In the critique for this project we used a Google app called Google Forms which Mr. Sanderl created. It consisted of 3 categories and three selections for each. The categories were audience, creativity, and requirements. Personally I believe the results were very accurate for audience we received the majority of votes for All expectations met, I think this was reasonable because it definitely met the requirements but was not perfect. For creativity we received a majority of above and beyond, Our trailer was definitely creative so I think this was accurate. Lastly, for Requirements we received a majority of above and beyond. Overall, I think these results were both accurate and helpful as they allowed our team to know what our strengths as well as weaknesses were. Some things I learned from creating this project is that Planning early is always important just in case plans change. I also learned that although working with others can be difficult, it is essential in our everyday lives. 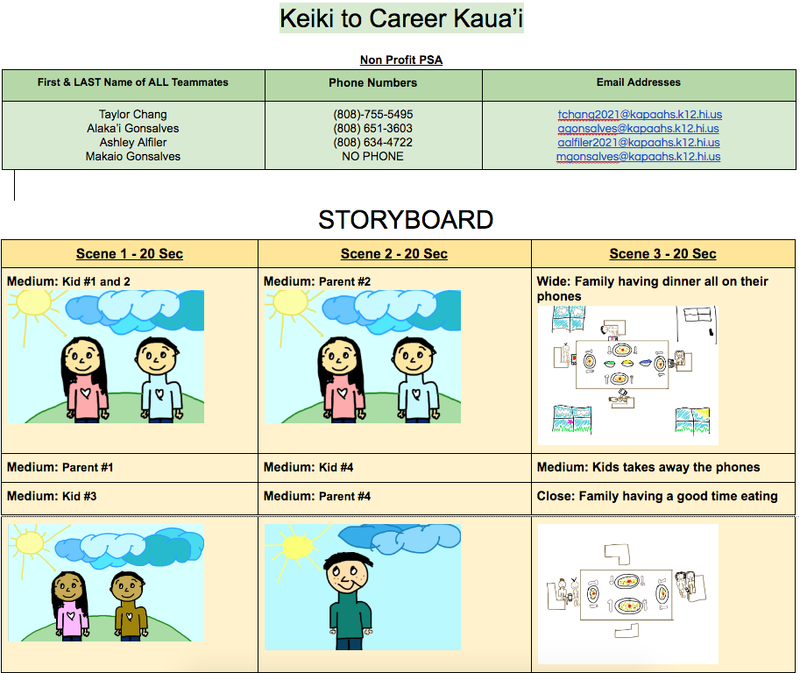 P1T7 Metamorphosis from Kapaa Middle School MEDIA on Vimeo. Welcome to a new blog post. In the last few weeks we have been working on a new project! The new project we are working on is an animation, not just any animation, a METAMORPHOSIS ANIMATION! To learn more about this new project, keep reading. The main goal of this project is to create an interesting and unique animation. In this animation we will need to include metamorphosis where a subject will change throughout the story. 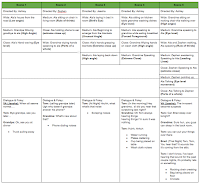 The goal is mainly focused on a rubric that gives us a specific outline to follow to create an exemplary animation. The first part of the goal is to present our idea to our classmates in other groups to get feedback to make our project better. 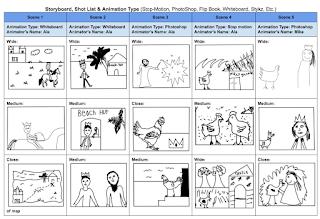 The next part of the goal is planning our animation on a storyboard to visually see what our final project will look like so that all group members are on the same page. 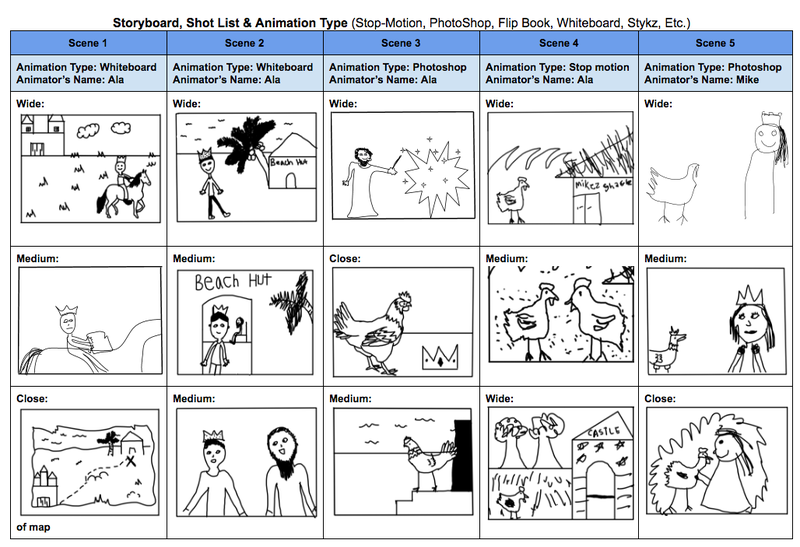 The animation types we plan to use are mainly stop motion and photoshop. The focus statement of our animation is Ala obtains confidence its where a prince has no confidence to talk to a princess, he seeks council from a wise man and is changed into a chicken. After becoming a chicken he comes across a beach chicken that gives him confidence, he then goes to the castle and is able to speak with the princess and she changes him back into a human. For a more in depth explanation. Our critique, which we did the day after we turned in our project consisted of watching each animation then grading them on four sections. 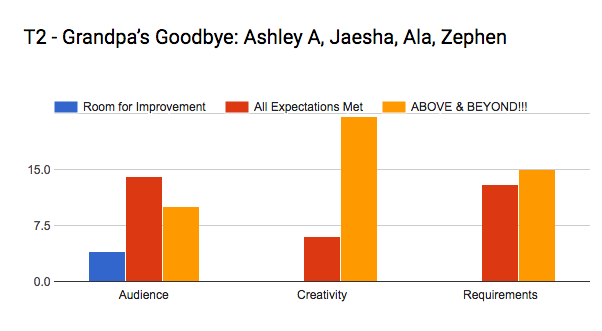 I believe the results for our videos critique was pretty accurate. For each section we received 3.5-3.6 which I think was really good. Although I think our final animation came out really well, there are obliviously a few things that could be improved upon considering that we were about .5 points away from exemplary on each section. Overall, I think our final product came out really well and that since there are minor changes that could be made, the results of our critique were both accurate and helpful. 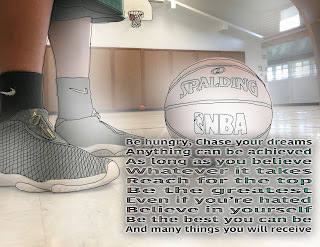 It is the beginning of the 2nd quarter of our 8th-grade year in G.T. For the second quarter, we are starting it off with a brand new project! 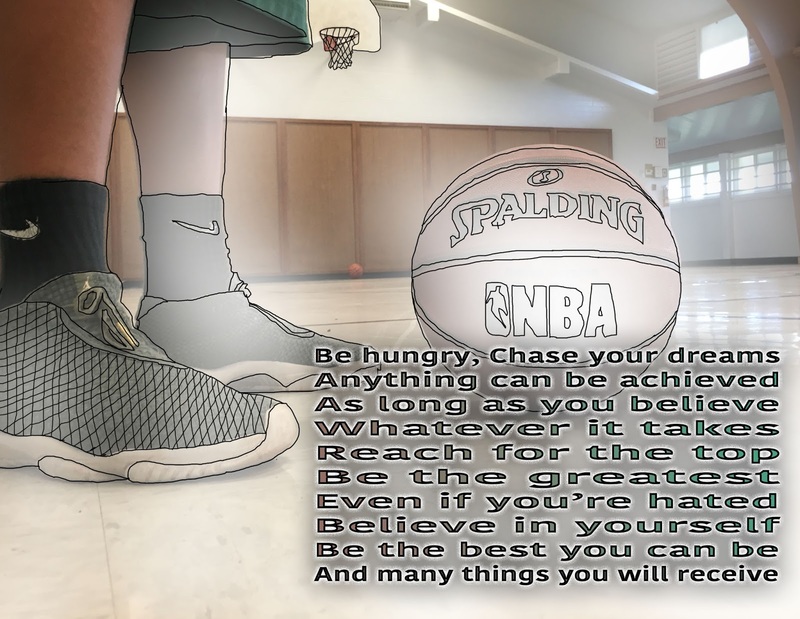 Our first project is a photoshop project creating graphic designs. We will be creating low-polygonal images! keep reading to learn more about our new project in G.T. 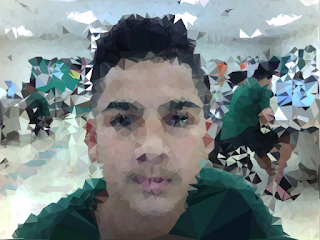 In our polygonal portraits, we as well as the person we took photos of have facial expressions. Some people have mad, sad, happy, etc. facial expressions. People have facial expressions all the time, even when the might not even know. Whether you mad at your sibling or happy because of your new toy we always have an expression on our faces. Not only do Americans have facial expressions, but everyone in the world does. Personally, I feel that facial expressions are universal, I think its kinda weird to think that no matter what language is spoken if someone thinks something is funny, their going to laugh. I think that is the same for facial expressions, even if people speak different languages, grow up differently, live a different culture, a smile is a smile, if your mad, you'll have an angry face. So yes facial expressions are universal. When creating Low Polygonal Images, there are several ways you can create them. The "easy way" and the "custom way", to learn more about the differences go on to the next paragraph. Anyway for the "custom way", it all begins with an image that is taken of someone. Then after creating a new document in photoshop, you import the image. After the document is completely set up in photoshop you can either start with the line tool with a 5 point brush and create an outline of polygons like shown on the left half (image to the right) then fill using the polygonal lasso tool, or you can just get started using the Polygonal Lasso Tool. Either way, the process is basically the same, you use the Polygonal lasso tool to create polygons then when the selection is made you can either [filter--blur--average] or [I--select a color--alt, backspace] to fill the area. Then you just continue filling in using large polygons for the skin and hair, and small polygons to fill more detailed parts of the face. 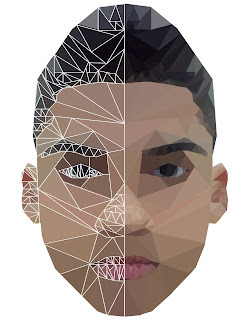 If the portrait is perfectly symmetrical , you can cut it in half right in the middle then when complete just flip it across then put them together to complete the face. Like I stated in the previous paragraph, there are several ways to create a low polygonal image. There is the "easy way" and the "custom way". The easy way is done on the Internet in a simple website that takes and image and creates s polygonal image very quickly. This method is good for creating a quick, easy low polygonal image. But if it's high-quality that you are trying to achieve then custom way would be the way to go. The custom way is created using Photoshop. In this method, you take an image just like you would for the easy way, And using a variety of tools creating a higher quality low polygonal image. The main difference between the easy way and because custom way would be the finished product, like I said the easy way gives you a pretty good image but the custom way will give you a more clean look which also gives it a higher quality because you can make each shape the size you want for each section of the face. Although there are many differences between the two methods, there are a few things that are the same about them. 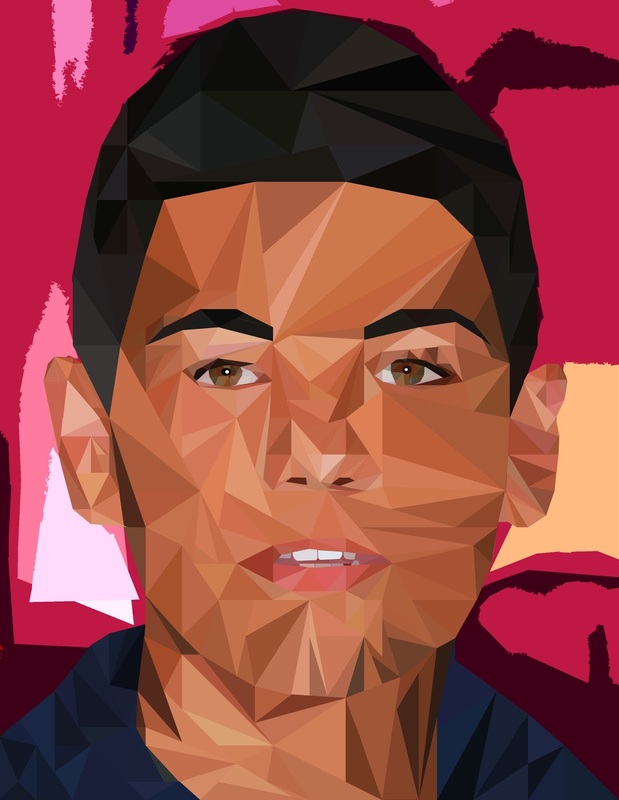 One way they are the same is the idea of it, with both methods it takes the image and simplifies it using polygons to make up the face. 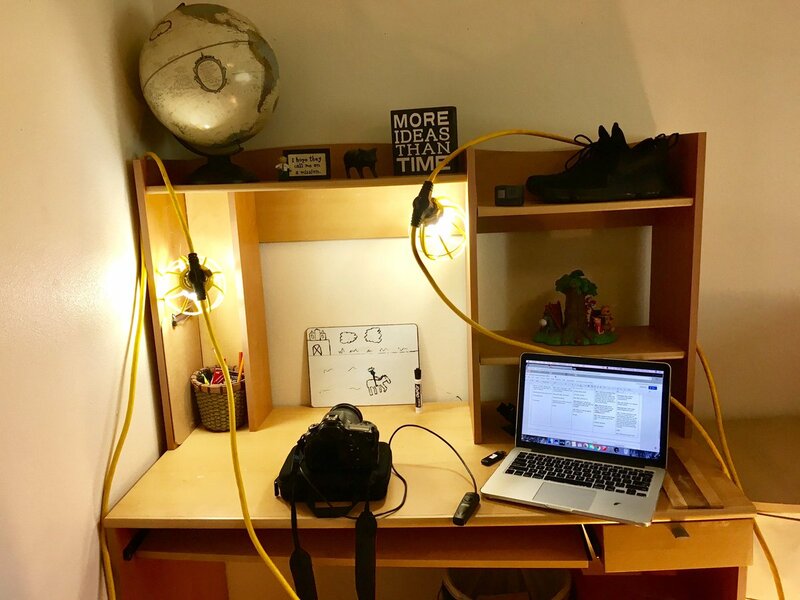 Overall, both methods are good and the choice of which way to create it depends on what look you want to achieve and how much time you have to create it. 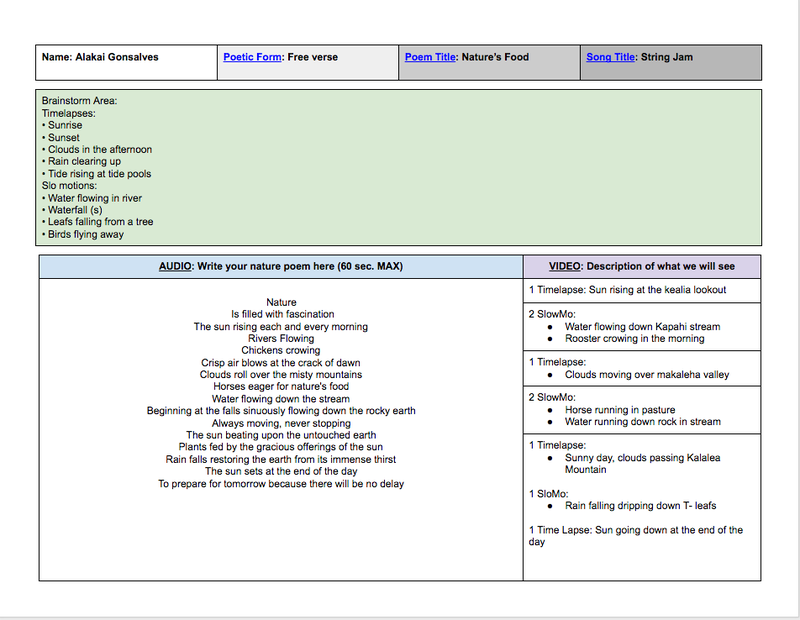 For our second project in our Gifted and Talented class, we are creating Nature poems which will be verbally read aloud. The poem will be read while different time lapses as well as slo mos. So our second project will be a "Retime Nature Project." I'm pretty excited about this project because it involves retiming clips which I thing can look pretty interesting if edited correctly. Nature is all around us, around our school, home, everywhere. Nature is a part of everyone's life unless you live in a building all the time, you most likely see nature every day. Nature can impact people's lives in many different ways. One way nature can impacts is by making us more creative. If we spend lots of time outdoors in nature we can really get inspired to try new things and do things we never have before. Another way nature can impact my life is by making me more appreciative of not only nature but everything else that I have. Another way nature can impact my life is by making us less stressful. If we spend time in nature we are taken away from the world and everything in it, phones, people, problems. And these are a few ways that nature can impact our lives. Timelapses and Slo-Mos are created by changing the speed of a video clip. For slo-mos, the clips are obviously slowed down while time lapses are sped up. Slo mos can be taken fairly quickly because of the fact that they are slowed down by sometimes more than half of its speed. For example, if you take a 5-second video of a dog jumping in the air for 2 seconds, it could possibly be slowed down to more than double or even triple its length. 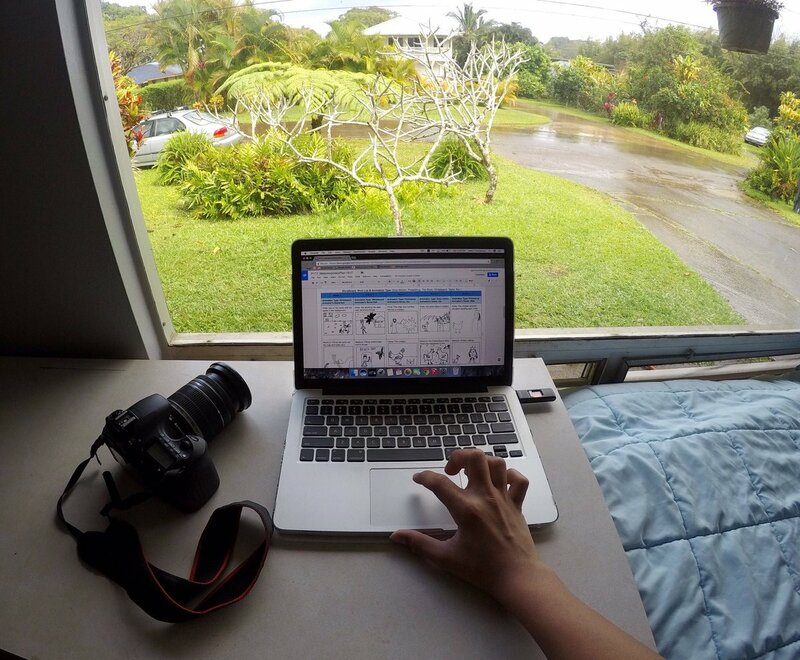 Timelapses, on the other hand, are made faster through editing. The time-lapse we are creating are first taken by taking a regular video of 2/3 sky 1/3 foreground. Unlike a slo-mo, these are taken over a long period of time from a few minutes to a couple hours sometimes. For our purposes, we are taking about 5-10 minutes to shoot our time-lapse. After the clips are taken, they can be imported into Final cut pro, the retime function is used for both creating both slo mos and time lapses. For slo mos you can either use the slow down function or custom depending on what effect you want. Timelapses are pretty similar except instead of using the slow and custom, functions you would use the speed and custom buttons to make the video fast to create a time-lapse effect. This project has been pretty easy so far and has been pretty fun to see it evolve. I really like starting with a plan which makes the project seem pretty tempting. Then as the project progresses it gets a little easier. The hardest part of this project would probably have to be filming the clips. Although taking them is fairly easy, just getting the time to take them can sometimes be pretty difficult. Luckily I had one free day the week before the deadline where I could take most of my time lapses. This was also difficult because my poem talked about the "sun rising" and "Beginning at the falls" because i wanted everything said to be visually seen. I really wanted to film these things which were somewhat difficult to get. Luckily for me, I was able to capture everything I wanted. 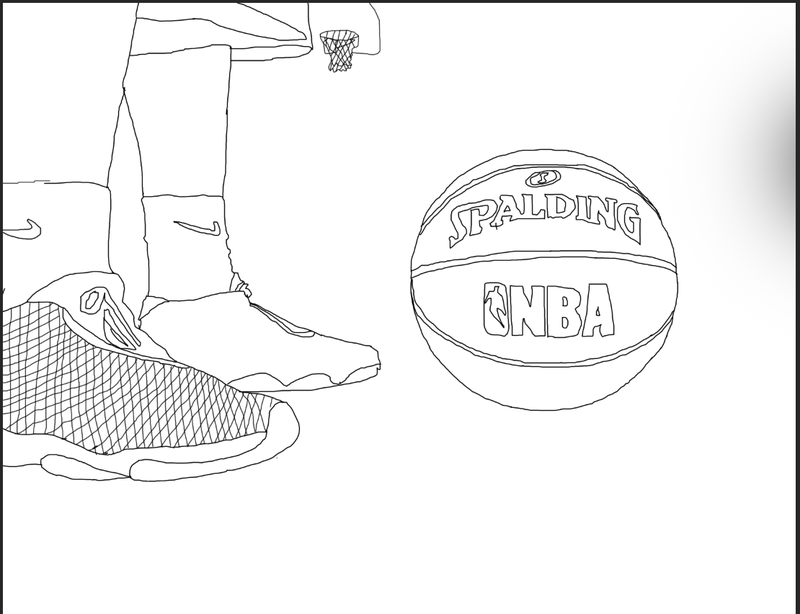 My favorite part of this project would probably be just seeing the video come together. 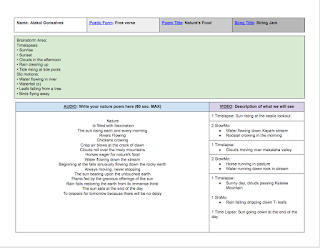 We started with a plan where we brainstormed ideas and wrote out our plan and poem. Then we began to film first one slo-mo and one time-lapse then it was up to us to decide when we would take the others. We then stitched all the audio and film together in final cut pro. Finally we tweaked things here and there until we came to our final product. Overall I really liked this project, and it was pretty enjoyable. When everyone in my class was completed with our Retime nature project we all turned them in to google classroom. The next day we watched everyones video as a class and critiqued them. We either gave them either a 1, 2, 3, or 4. My whole class critiqued me and I received pretty good grades from everyone. I received 22 4's and 5 3's. 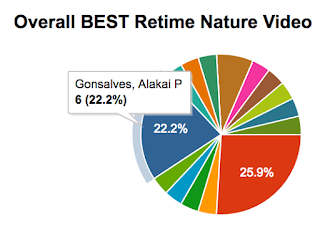 For the best class video I got 2nd place, with one more vote, I would have tied Kyla's video. Hers was really good go check it out by clicking this. Overall I think that the critique I got was pretty accurate most people gave me a 4 which I think I deserved. A few people gave me a 3 which I think is respectable. Hello! here I am with my first blog post this school. We recently started this new school year. Along with the new school year came a new G.T. project. The first project of this year is in photoshop. For this project, we are creating creative poems to go along with creative art we have created. To learn more about what I am up to in my G.T. class keep reading! Poetry is defined as, "Literary work in which special intensity is given to the expression of feelings and ideas by the use of distinctive style and rhythm. "Personally, I Think poetry is simply words that show emotions through writing. I think that poetry can show feelings of sadness, happiness, and really anything. I feel that poetry is basically a person's thoughts and feelings portrayed through writing. I think that poetry can be used to motivate or make people feel certain ways. I also feel that poetry can be used to get someone's feelings out. And lastly, I feel that poetry can be used to share someone's opinions and suggestions from their personal experiences. Written below is my poetic statement. In my poetic statement, I mostly focused on creating a rhythm with the words I chose. I created rhythm by focusing on one thing which is working for what you want. 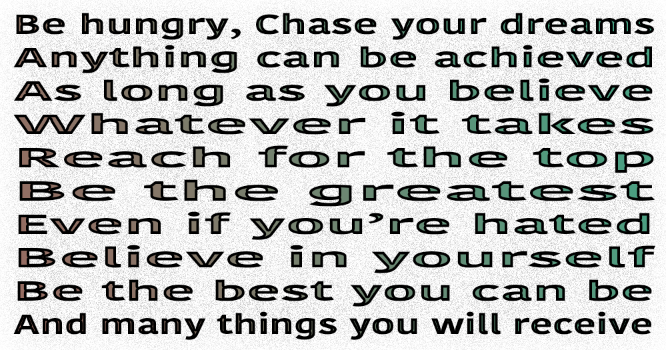 One example of how I did this is by Starting my statement with "be hungry" then as the writing progresses it states different statements that tie to the ones above them. In my statement, I tried to create a rhythm so that instead of my writing sounding plain with just random statements, It sounds more flowings and more interesting. 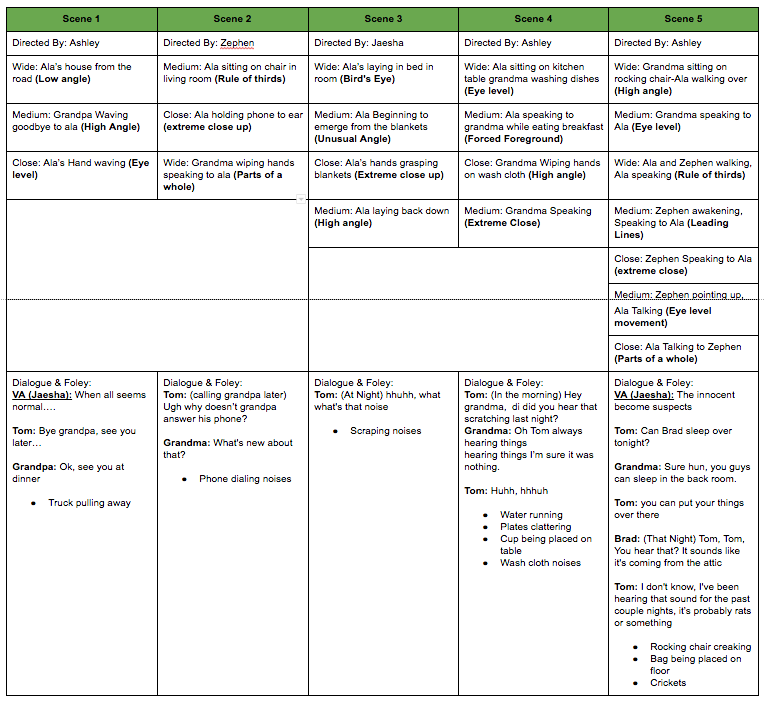 I also included rhythm so that my writing would show what I am trying to share with my audience in a more engaging way. Although my poetic statement doesn't rhyme a whole lot, There are a few lines that do rhyme. 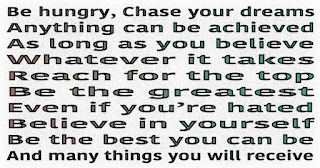 For example, the two lines " Anything can be achieved" and "as long as you believe" rhyme. I decided to make these two lines rhyme so that they kind of link with one another and sound better.